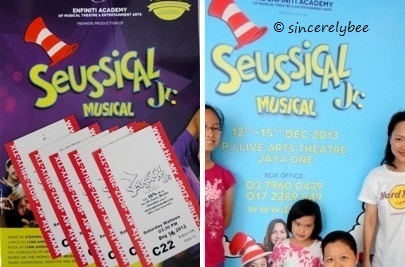 We had a date with Dr. Seuss! In Fiona’s car we travelled, all five of us. She paid full attention to the performance. As the audience found the characters very amusing. Many thanks Lisa and Fiona, for your company! 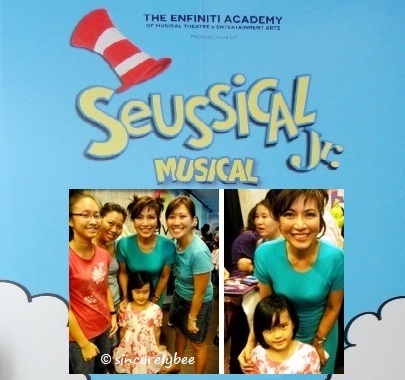 Pix with Datin Seri Tiara Jacquelina, Executive Producer of “Seussical Jr.” and founder of The Enfiniti Academy of Musical Theatre that produces this musical. This entry was posted in Happy at Home and tagged Family, Home. Bookmark the permalink.